Steve Kay, who has studied genetics and genomics, received his Ph.D. from the University of Bristol, United Kingdom. 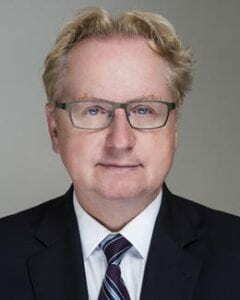 He has also held faculty positions at The Rockefeller University, University of Virginia, The Scripps Research Institute, UC San Diego as well as served as the Director of Discovery Research at the Genomics Institute of the Novartis Research Foundation. In 2008, Kay was elected as a member of the NAS, in 2009 he was elected as a fellow of the American Association for the Advancement of Science. In 2010 he was awarded the UCSD Chancellor’s Associates Faculty Award for Excellence in Research. He was chosen to receive the American Society of Plant Biologists’ 2011 Martin Gibbs Medal for his pioneering work in plant sciences. One of the world’s top experts on genes and circadian rhythms, he has published more than 200 papers and has been cited in Science magazine’s “Breakthroughs of the Year” three times – 1997, 1998 and 2002. In 2014 awarded Thomson Reuters Highly Cited Researcher. Kay’s research has contributed significantly to the understanding of the genetic basis for circadian rhythms, which serve as the body’s clock for timing the day-night cycle. Recently his group and others explored the ties between circadian rhythms and the body’s metabolism, helping to explain why night-shift workers, frequent travelers and others with disrupted circadian rhythms appear more prone to metabolic disorders. This investigation has led his team to discover a chemical that regulates our biological clock that in turn could be used to develop completely new drugs to treat metabolic disorders like type 2 diabetes.